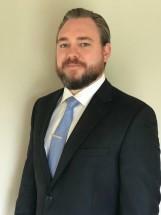 Ryan focuses primarily on the areas of personal injury and workers’ compensation. Having previously practiced in the Chicago Loop, Ryan is passionate about helping individuals pick up the pieces and move on with their lives after being injured at work or elsewhere. He understands that suffering such an injury is an incredibly trying time in his clients’ lives and will not stop until the responsible party is held accountable. Ryan earned his J.D. from Chicago-Kent College of Law, where he received a scholarship from the Workers’ Compensation Lawyers Association for demonstrating aptitude in the field of workers’ compensation. While at Chicago-Kent, Ryan also received the CALI Excellence for the Future Award in Advanced Torts. Prior to attending law school, Ryan received his B.A. from Robert Morris University. During his time at Robert Morris, Ryan was inducted into the Sigma Beta Delta Honor Society. Ryan is admitted to the Supreme Court of Illinois and the General bars of the United States District Courts for the Northern and Central Districts of Illinois.